Avocados make a welcome addition to any healthful diet. They come loaded with nutrients important to your health -- including vitamin E and dietary fiber -- which makes them important for tissue function. Not only do avocados not contain any cholesterol, they contain healthy fats that benefit your blood cholesterol levels. 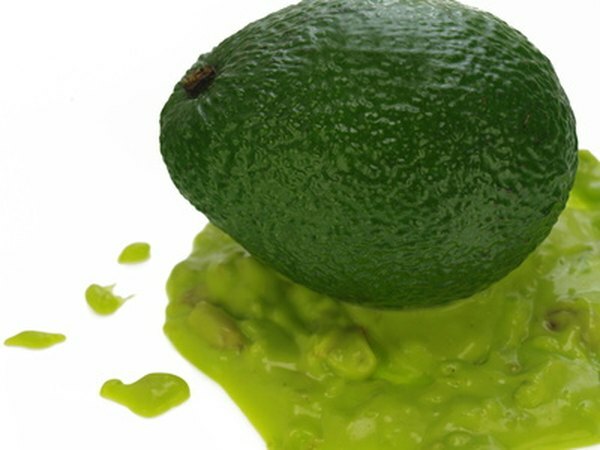 Avocados contain no cholesterol at all. Cholesterol is found in only animal based foods like meat and dairy. Avocados, technically considered fruits, contain no dietary cholesterol at all. High dietary fat intake has been associated with high levels of blood cholesterol. However, avocados contain no saturated fats. This is because they are plant based foods and saturated fats are provided by animal based foods only. One avocado does contain about 29 grams of fats, but these fats are monounsaturated and polyunsaturated fats, which are beneficial to your health. Eating a diet that emphasizes the intake of unsaturated fats over saturated ones reduces your risk of developing heart disease, the American Heart Association reports. In fact, the fats that avocados contain can actually help to lower your cholesterol. These fats increase your body's production of HDL cholesterol -- the good kind of cholesterol -- and helps to rid your blood of bad cholesterol. You should eat a certain percentage of unsaturated fats each day, the Harvard School of Public Health recommends. Total fat intake should be limited to 30 percent of your total calories. More specific recommendations emphasize unsaturated fats. Monounsaturated fats should comprise 10 to 25 percent of your daily calories and polyunsaturated fats should make up 8 to 10 percent of total calories. Avocados, providing 19 grams of monounsaturated and 3.6 grams of polyunsaturated fats per fruit, fit nicely within this recommendation.